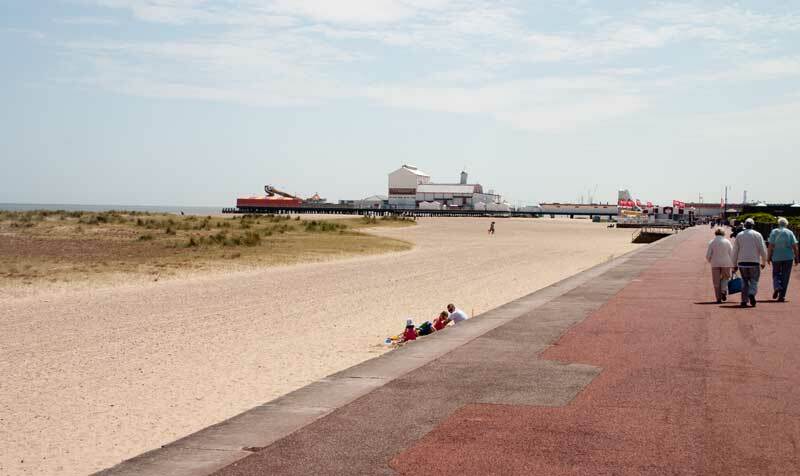 Great Yarmouth is a well known and popular seaside resort on the east Norfolk coast., there is also a busy harbour area. 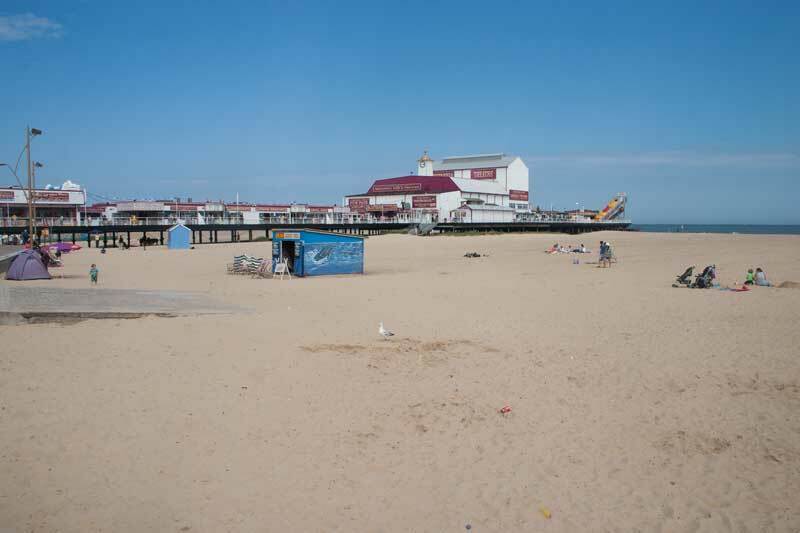 The first photo is of the wide expanse of beach, the promenade and pier - which hardly seems to rise above the beach! 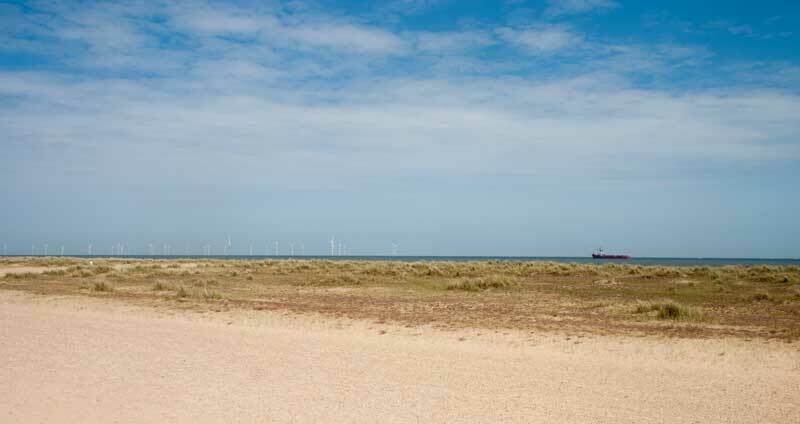 Across the beach there's a good view of the Scroby Sands offshore wind farm. More of the sands further down! 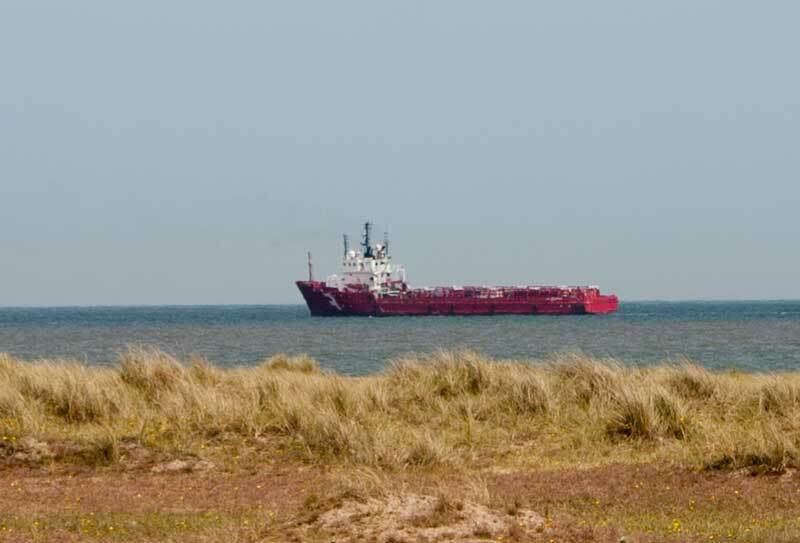 An oil and gas rig support vessel off shore, one is stationed here in case of incidents on the North Sea gas platforms. 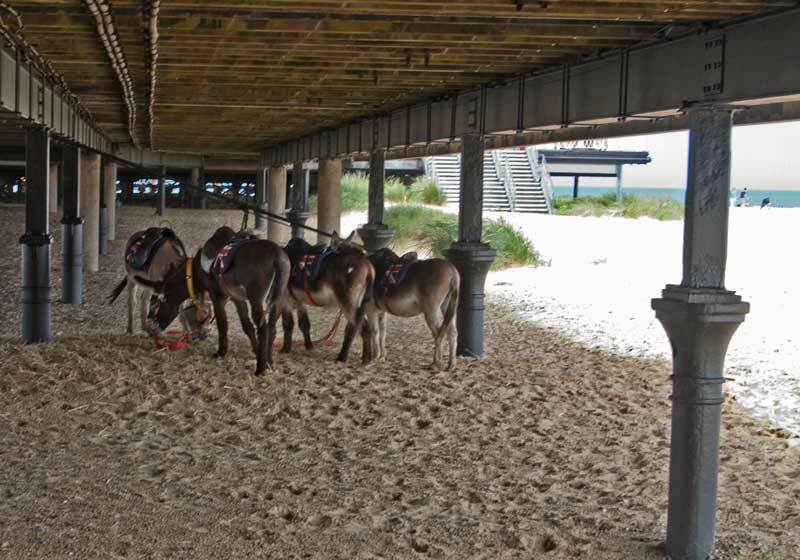 The pier offers shelter to the donkeys between giving rides on the beach. 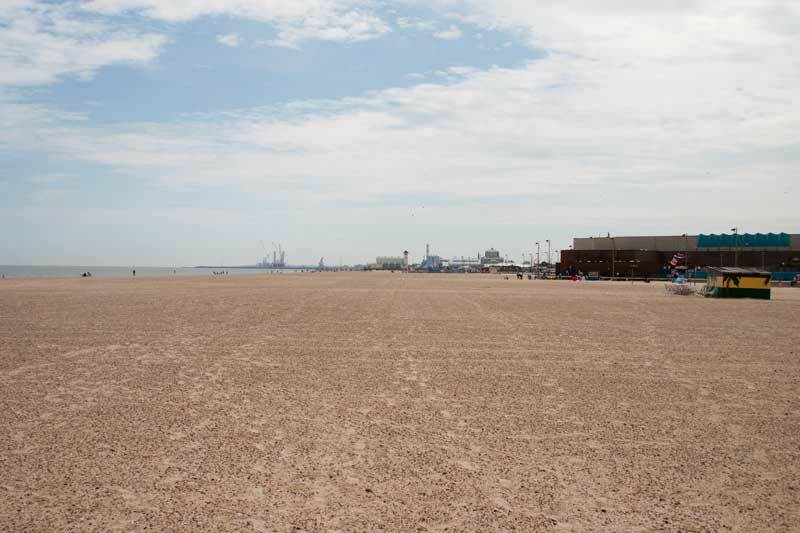 Two more views of the lovely expanse of sand the beach here offers. 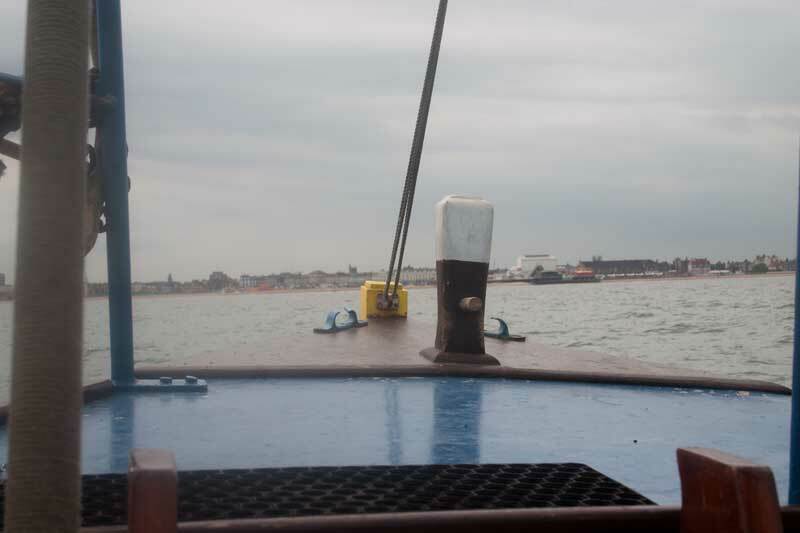 The pier from a different viewpoint - out at sea! 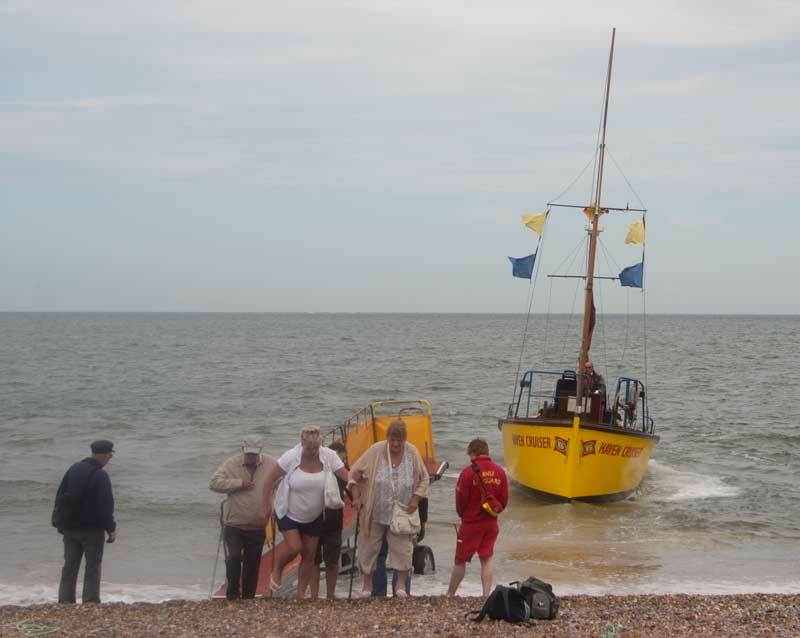 We went out on trip from the beach to see Scoby Sands - and the seals! 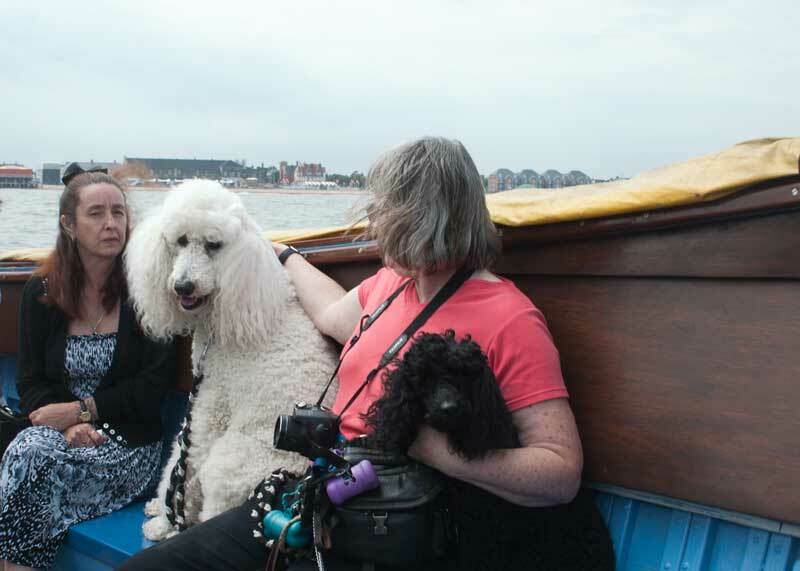 Our dogs proved to be real sea dogs, not bothered at all by the rolling of the boat. 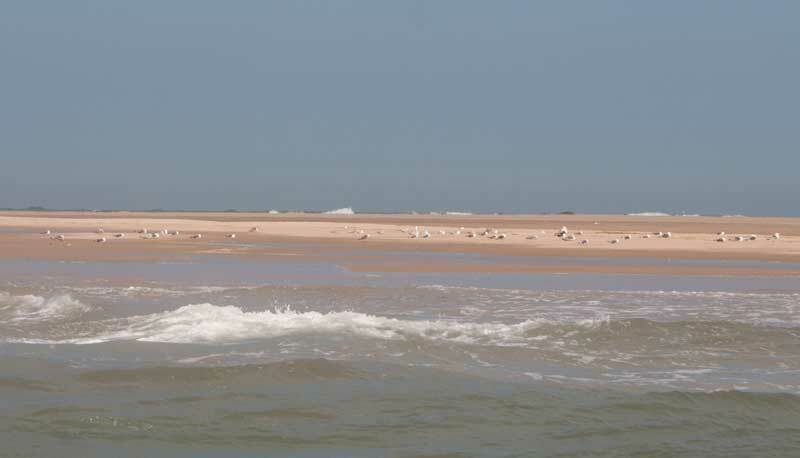 The sands, in this view there's plenty of gulls, you can see the breakers the other side of the sand bank. Finally, some seals! 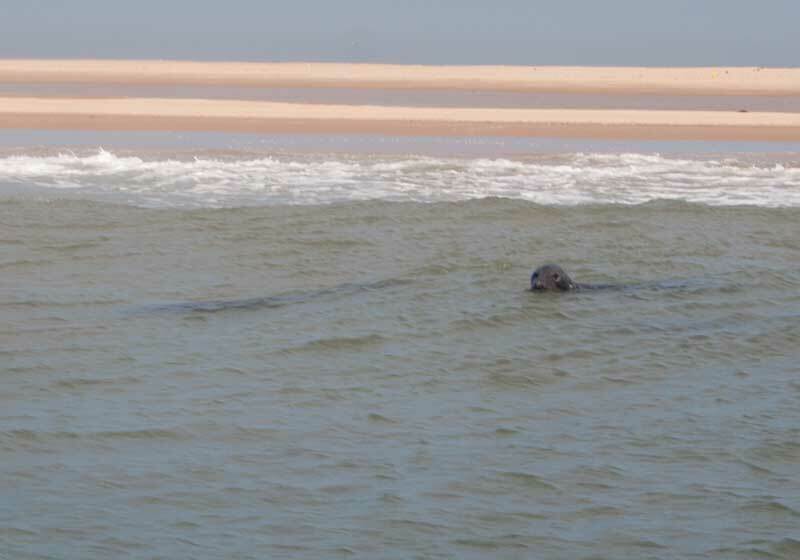 I've not seen many seals other than around Scotland so this was a special treat. 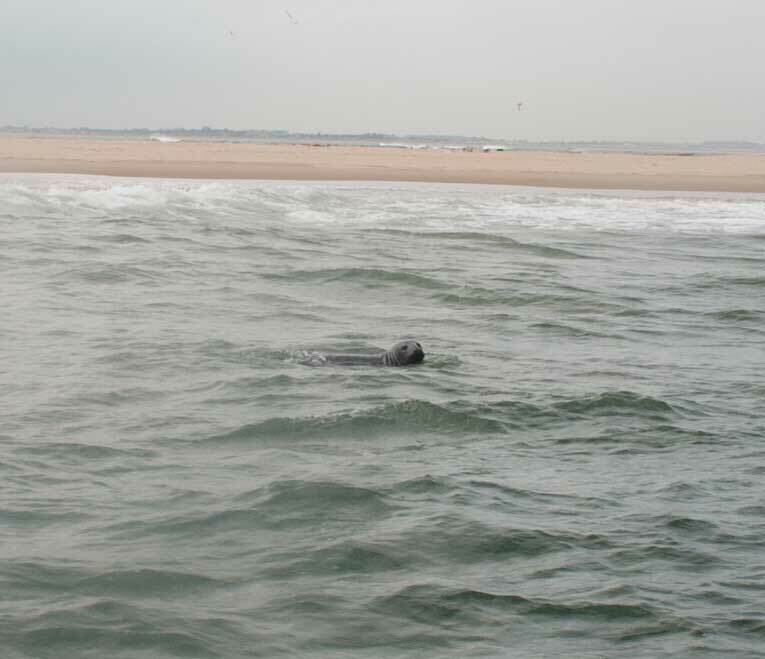 Two photos of seals in the water watching us - besides those with their heads above water you can see the shadows of others just under the surface. 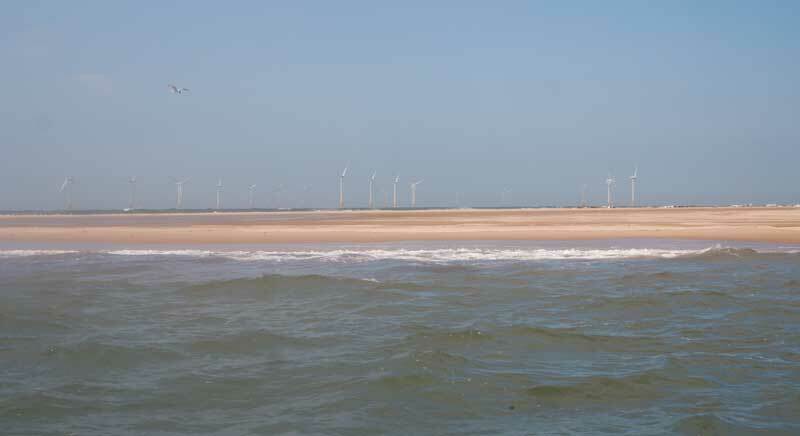 Scroby Sands wind farm seen across the exposed part of the sands. Rolling our way back towards the pier and beach. 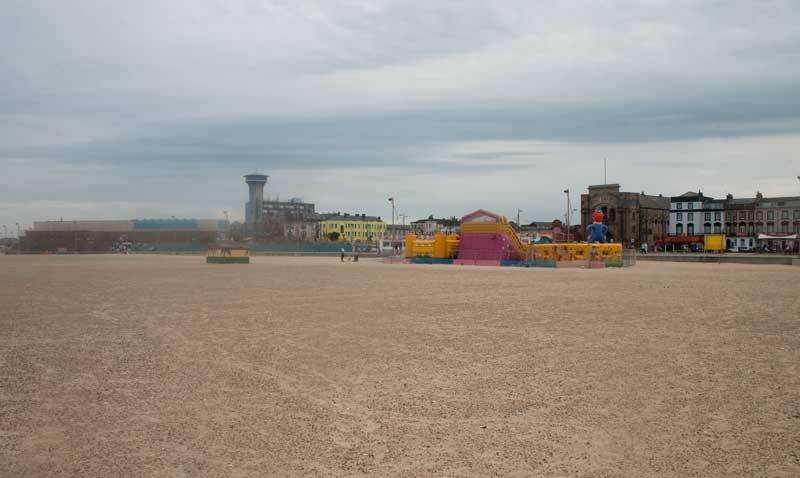 A last one of the beach and some of the many amusement facilities from this part of the beach on.